Are you located in the small little suburb of Mudgeeraba? Looking for a repainting company to come and paint your house or commercial building? Well Repaintpro can help you today. We are fully qualified to come and repaint your house or commercial building. Interior or exterior, nothing is too difficult for the team here at Repaintpro. We have been working on the Gold Coast for over 20 years now and all of our customers have been extremely happy and satisfied with the quality of work we do for them. Where you live or your business is located isn’t an issue for us, we can come out and repaint your job. Mudgeeraba used to be a forestry and saw milling town. 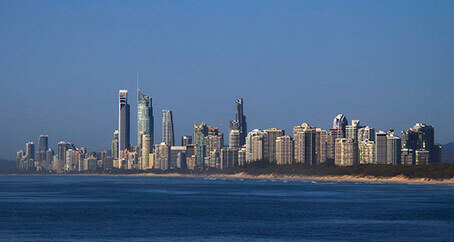 It is one of the longest established areas on the Gold Coast that has retained it charm and relaxed atmosphere. This suburb as now been developed into a populated area with families and retires on every street. If you are looking to change up your house or commercial building from the old designs to a new modern look give Repaintpro a call. This suburb is only five minutes away from one of the largest shopping centres on the Gold Coast, Robina Town Centre and the Robina train terminal. Mudgeeraba also has its own little shopping centre with the fresh food market and a variety of cafés. If you own a business in Mudgeeraba and are trying to think of new ways to improve your commercial building, try repainting. Its affordable, and the team at Repaintpro can work around your trading hours so you don’t need to close your business while we paint. A quiet, semi-rural lifestyle is the attraction of the suburb: it has easy access to the Hinterland and a selection of nature trails, and is conveniently positioned near the Pacific Highway, 15 kilometres from Surfers Paradise. A road called The Panorama leads to lookouts which offer some of the best views over the Gold Coast City. Mudgeeraba is a quiet and semi-rural area with easy access to the Hinterland and its natural trails. It is also located right next to the pacific Highway and is long 15 kilometres from Surfers Paradise and all its amazing beaches. As well as the nature walks and beach days there is a road called The Panorama which leads to a lookout which offers some of the best views of the Gold Coast. There are also some houses on this road, so if you own one and are looking to find a way to match the style of your home with the stunning views at the lookout give Repaintpro a call or an email. There is a primary school in Mudgeeraba that isn’t to far away from any of the other schools on the Gold Coast. This includes a variety of public and private schools. If you are wanting to repaint the school or the classrooms of the school and don’t want it disturbing the classes during the day, Repaintpro can work after hours to ensure your classrooms are back up and running. So, if you live or your business is located in Mudgeeraba and you are wanting to Repaint your house or commercial building just give Repaintpro a call or an email today. Gone are the days when all walls of a room were painted with same color from floor to ceiling. Today, a variety of unique and amazing painting techniques are available which not only give your walls a catchy look but help you set the right mood of a room. If you are also considering getting the walls of your home painted in a creative and urban way, then Repaint Pro is your one stop destination. With experience of over 2 decades, and a team of knowledgeable and skilled professionals, we guarantee you 100% satisfaction and ensure to make your home more lively and comfortable. We are one of the most trusted house and commercial painters in Mudgeeraba, Gold Coast. We serve surrounding areas as well, and provide interior and exterior painting services for houses and commercial properties of all sizes. We only use supreme quality paints, so can rest assured of smooth finish and enduring services. Whether you already have a perfect color scheme in your mind or you are confused that what colors can add to the beauty of your home, just feel free to discuss your requirements with us and we ensure you to present you with the great solutions to give you beautiful ambiance. Our services are not only limited to wall and ceiling painting, but we also specialize in timber work, so we can paint almost anything and everything to give your overall abode a facelift. When working with us, you don’t have to worry about deposits or your comfort. We don’t ask for any deposits and can work within your time frame. In addition, our team of professionals is trustworthy and friendly. They know their responsibilities and key roles well. We ensure you hassle free and smooth painting experience. Does the exterior of your Gold Coast home need to be repainted? Are you trying to find that perfect repainting company to do it? Well, search no more because repaintpro can repaint the exterior of your home today. Exterior house painting is most commonly one when trying to sell a house or when the buyer of the house moves in, but after that it is genuinely forgotten about. Yes, paint can last a long time without looking like it needs to be repainted but underneath all the paint there could be mold eating away at your house because water got trapped underneath the paint. It is best to have your house repainted every few years to minimize the risk of the mold eating away at your house. Repaintpro has been painting the exterior of Gold Coast homes for over 20 years now. Our customers are always extremely satisfied with the quality of work we out into repainting their houses. We work all over the Gold Coast, from Southport, Carrara, Worongary, Mudgeeraba, Robina and all the way down to Coolangatta. Where you live on the Gold Coast isn’t an issue for us, we can come and repaint the exterior of your house for you. The exterior of your home is the first thing people see when they pull up to your house, so making sure it is presentable and clean looking should be your number one priority. So, it would be in your best interests if after a few years you get the exterior of your house repainted. Also, the closer you live to the ocean, like coastal suburbs, you will need more maintenances to the exterior of your house. This is because the salt air deteriorates the paint off your house. So, if you are wanting the exterior of your house to be repainted then give Repaintpro a call or an email today and we can come out and quote your house for free. Contact now for free same day quote!